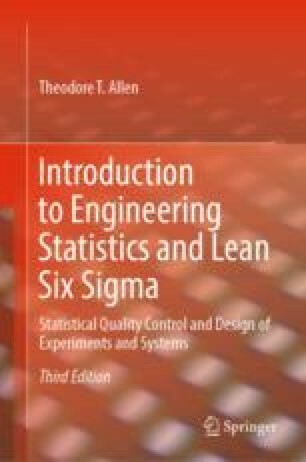 The methods presented in this chapter are primarily relevant when it is desired to determine simultaneously which of many possible changes in system inputs cause average outputs to change. “Factor screening ” is the process of starting with a long list of possibly influential factors and ending with a usually smaller list of factors believed to affect the average response. More specifically, the methods described in this section permit the simultaneous screening of several (m) factors using a number of runs, n, comparable to but greater than the number of factors (n ~ m and n > m).